Roaring Brook Press, 9781626724136, 40pp. and even scary, like a shark. Even though sharks can be scary, we need them to keep the oceans healthy. Unfortunately, due to overfishing, many shark species are in danger of extinction, and that can cause big problems in the oceans and even on land. What would happen if this continued and sharks disappeared completely? 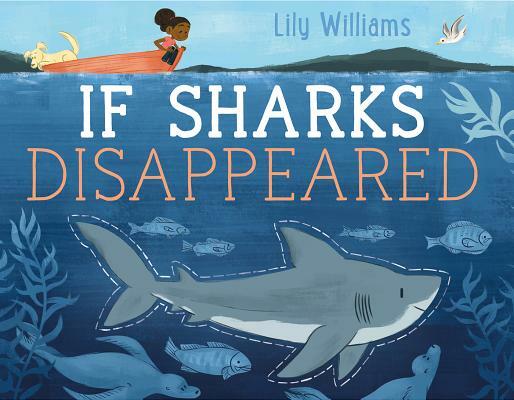 Artist Lily Williams explores how the disappearance would affect other animals across the whole planet in this clever book about the importance of keeping sharks, and our oceans, healthy. Lily Williams grew up in Northern California, where she graduated with high distinction from California College of the Arts with a BFA in animation. Her books for children include If Sharks Disappeared and If Polar Bears Disappeared. Williams seeks to inspire change in the world, engage audiences, and educate all ages in her practice of visual development, illustration, and animation. Her work can be seen in film, print, and classrooms around the world, and has been used to get legislation passed in the United States Senate.